Before she died, my maternal grandmother, whom we called Lali (remember I’ve told you about her before?) gave me Gloria Miller’s Thousand Recipe Chinese Cookbook. She was fascinated with Chinese cookery. She was also very good at it. What she loved the most were the stir-fry dishes: fast, tasty and healthy. So, she bought herself a wok. I couldn’t begin to count how many wok-made dishes I ate at her house during those long summers I visited her and my grandfather, after they moved to the Californian desert. Fast-forward many, many years. You know I am on a continuous mission to find fascinating topics to teach for my culinary program at the Mexican Cultural Institute in Washington, DC. As we planned this year’s classes, the topic came up: Asian Influence in Mexican cooking. As a former Mexican policy analyst, I am very familiar with the history of the 250 year-long Acapulco-Manila trading route, which connected China and Mexico early on. How tasty would it be to build a menu that showcased the influence of Asian populations in Mexico, and the beautiful fusions of their cuisines and ours? The Chinese and the Filipinos were the first ones to come to Mexico, through that Acapulco-Manila trading route, which was the result of the Spaniards’ thirst for more than gold, for more than silver; it was their thirst to find what they called the “Spice Islands.” Find them, they did, in Manila. 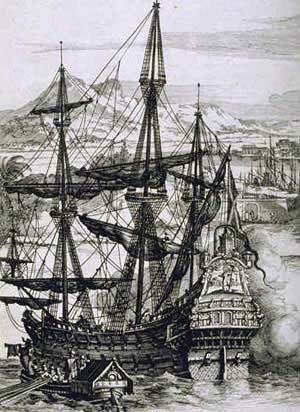 For 250 years, huge Spanish-built Manila Galleon ships (known in Mexico as Naos de China) were the means of an incredibly rich exchange that forever changed the culture and cooking of Mexico and Asia. Through trips that lasted for more than six months and carried more than 600 people, in came silk, porcelain, exotic fruits and herbs, huge amounts of spices and new ways of preserving ingredients and cooking techniques; out went tomatoes, zucchini, corn, chiles, avocados, beans, Mexican herbs and many culinary traditions. Like many in the Chinese populations in Mexico, my grandmother was an immigrant. She moved to Mexico City from her native Austria, by boat as well, and in her kitchen, became fluent in bridging Austrian and Mexican food. Much in the same way that Chinese immigrants, have built bridges between their cuisine and Mexican food – adapting dishes to use ingredients from the nearest market (jícama instead of watercress, anyone?) and to please the tastes of their Mexican neighbors (chile peppers, please…). It seems to me that it was an understanding and solidarity amongst immigrants that inspired my grandmother’s great appreciation for Chinese cooking. Well, not only was my grandmother fascinated with Chinese cooking, but a gazillion other Mexicans are, too. We visit Chinese restaurants and cafes, which are proliferated in Mexico City’s Barrio Chino (Chinatown) but even more in the state of Baja California. They tend to have the red lamps and paper dragons and optional chopsticks (thankfully, because as to this day, I haven’t learned to use them…embarrassing, I know) and they have coffee, if you would rather drink it, instead of tea. 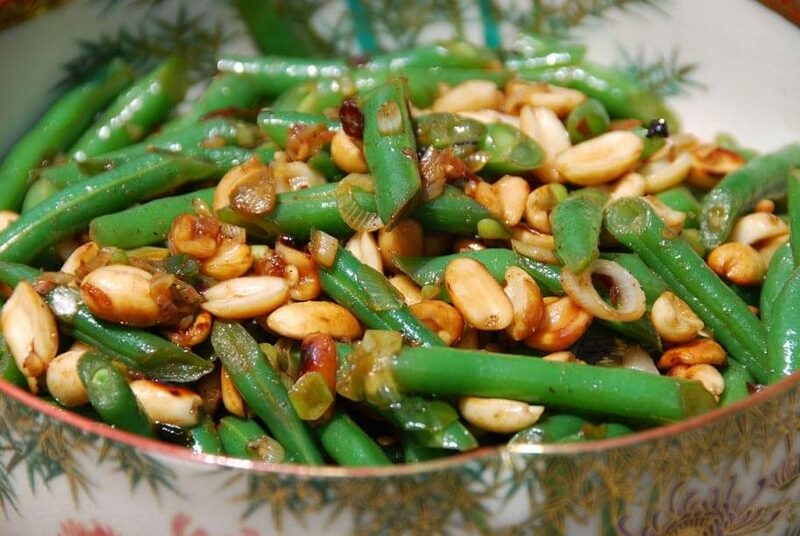 This recipe for Green Beans with Cacahautes and Chile de Arbol is one of its highlights. Thanks to Miller’s basics, I could brush up on my stir-frying technique, so the dish turns out just like my grandmother liked her stir fries: tender, crunchy, fresh and full of flavor. I added a double peanut layer, by using peanut oil, that becomes very nutty as the beans cook, as well as a healthy dose of garlic and chile de árbol. It’s become a staple at home. Bring salted water to a boil in a large pot, add the sliced green beans and cook, uncovered for 2 to 3 minutes until al dente, drain and set aside. Combine the soy sauce, chicken broth, sugar and salt in a small bowl and mix well. Heat the peanut oil over high heat in a large heavy skillet until hot but not smoking. Add the peanuts, stirring constantly, as they begin to fry for about 20 seconds. Beware, peanuts burn faster than you would think... so don't wait until they look browned. Add the garlic and the chiles de arbol, stir for about 10 seconds, and add the scallions and stir for another 10 to 15 seconds. Add the green beans, stir to combine all the ingredients and finally pour soy sauce mixture, let it all cook for 3 to 4 minutes. Serve immediately. I enjoy watching your show on Create! 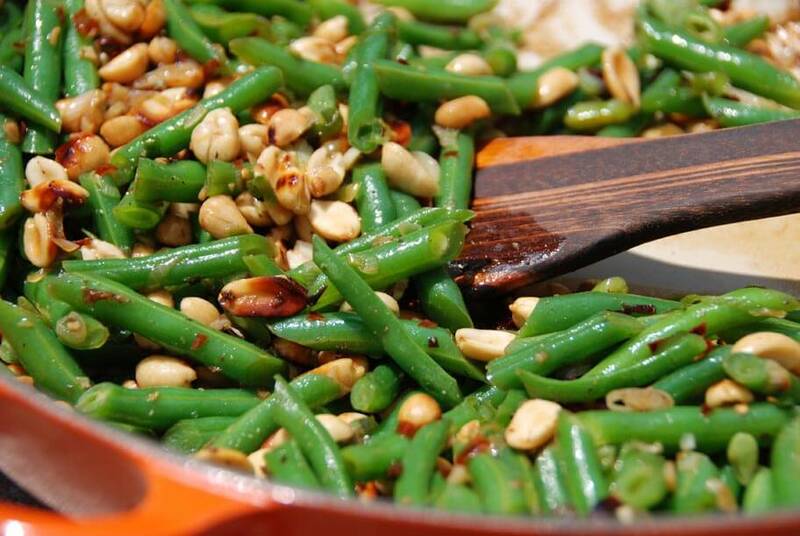 Plan to make the Green Beans for Thanksgiving! Is this a side dish I can prepare the day before & reheat the day of Thanksgiving? This is a dish best served as soon as it is made. Pati I love your recipes and will try to incorporate at least one in my everyday meals. Thank you so much you are a delight to watch. Wish you great success in your show. I’m just sorry I didn’t know about your show before. Thank you, best to you. I’m glad you discovered the show, and thank YOU for trying so many recipes, Patty! what was the seeds that the Aztec’s claim to givesuper powers? Pati watched your show on KPTS Create in Wichita, Kansas I wanted to make your chicken I think there was a spice armarti or something like that where would I find those seeds the ones that Azteca’s claimed to give them super powers? “Best green beans ever! !” That is a direct quote from my husband and I agree too! Thanks Pati, all your recipes are wonderful. I think I’ll try your enchiladas next. Awesome. Si! Try the enchiladas! Great use of green beans. I make this but mix it up with whatever I have at the time. Needs the chili though I find. Great post. I’m inspired now! Hey Pati, If you can’t find a new one, try looking for a replacement cord in thrift shops, buy an old waffle iron or percolator that has the same kind of cord. Just a thought. Just saw snapper with poblano sauce and blissful corn torta last week, can’t wait to try. Sounds very delicious, I love variations of spicy food. You may just have convinced me to eat my veggies too. The green beans were excellent! I’ve made a similar dish with sesame oil, but not with peanuts. I thought this peanut variation was outstanding. We ate them as a side with your ham and cheese tortas. Thanks for another great recipe! Okay so first, the history of the Chinese and Filipinos I had never known explains a lot now that I think about it. Very much appreciate this. Second I always put peanuts in any recipe involving Asian cuisine, it’s an addiction haha so good thinking on the double layer of peanuts with the peanut oil. Great post thank you for sharing. YUM! I can hardly wait to make this recipe, thank you! I will think of you and your Grand Mother with each bite. I really enjoyed your story and can relate to your attachment to her wok. I have similar memories and objects from some of my family members. So very special.